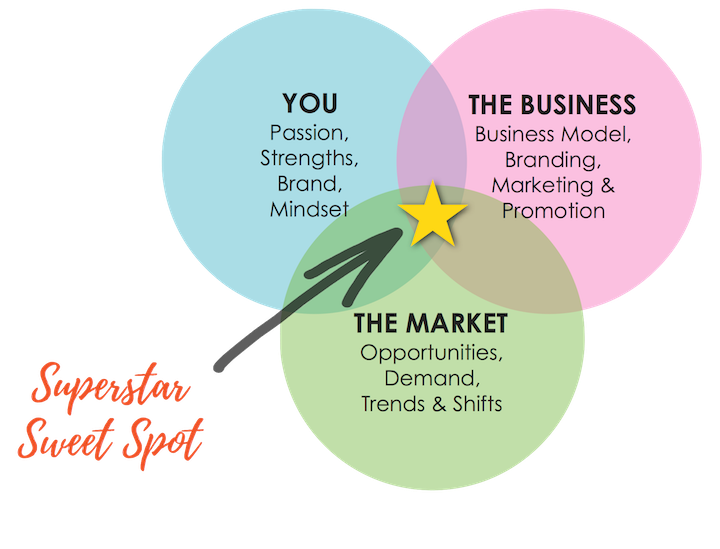 Ready To Find Your Superstar Sweet Spot? Business Breakthrough is the most compact program we could design to get maximum results in minimal time. This immersion is structured to give you the plan of action for a more successful, sustainable, scalable business. Whether you are launching a new endeavor or re-envisioning your existing one, this event will give you clarity, focus, direction and an action plan… Guaranteed. My business quadrupled over the next 14 months, but more importantly, I felt more fulfilled, free and aligned than ever before. What I realized is that the right business model changes everything – it creates stability, leverage, freedom, and most importantly, IMPACT. And now my team and I get to help other passionate Superstars (like you!) as they transition to business models that are more lifestyle-friendly, contribution-driven and enjoyable. Hi! I'm Michelle. I'm a business strategist, creative thinker, former magazine editor-then-publisher, MBA, business mentor and coach, professional speaker and recovering overachiever, lol. Phew! Then 4 years ago, thanks to a major breakdown in my personal life, I had a major breakthrough in my business (amazing how that works, right?) During my healing process, I started working with a mentor who helped me reorient my business towards my higher purpose, and transition my business model to be more scalable and stop working 1:1 and start leveraging my time using small events, retreats, and an ongoing, membership program with monthly recurring revenues. 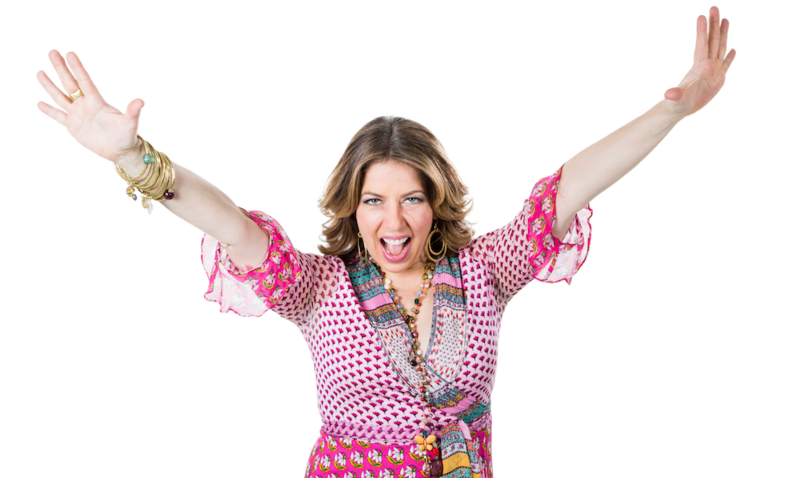 with Michelle Villalobos, "The Superstar Activator"
Discover, Design & Develop Your Income Model & Business Plan for Freedom, Fulfillment & Fun! “...3 years ago at this event I nailed my niche, and within 4 months I doubled my income and had my first 5-figure month.... I'm still going strong – last month was my best month ever, and now I am on the retreat team supporting others on their breakthrough journey – and I love it!" The next step is to nail down your income model, revenue streams, customer ascension plan, and core packages and pricing, which lay the foundation for scalability, sustainability and impact. By the time you're done with Day 2, you'll have the basis for a whole new business, a whole new future, and a whole new life. All the strategy and planning in the world are useless if you don't DO anything. On Day 3 we'll map out your 3 core marketing strategies, including a referral stream map (to identify opportunities you can tap into right away,) and 90-day action plan. We'll also support you in identifying, addressing and moving through what generally stops you from taking action. The Business Breakthrough Retreat is an intimate, hands-on, get-things-done style event. It's for influencers, educators and other mission and message-driven entrepreneurs who want to make a difference in the world. It's for high-achievers who "made it" and realized that true "success" is about much much more than the bottom line. It's for those who are ready for real and honest feedback, support and guidance, and who recognize the value of being surrounded by others who are ALSO playing full out in building their dreams and pursuing their mission. In this setting, you will be immersed in an entirely unique and effective framework for re-envisioning your business, step-by-step. Fast. You'll have lots of hands-on support from experts, including Michelle, who are there entirely to serve you and ensure you walk away with everything you came for. In these 3 days, we've seen incredible ideas born, deep friendships develop, confidence blossom, and opportunities emerge. In this room, you'll find greatness – in the people around you, and in yourself. We are here to support you, inspire you, train you, and guide you to stretch yourself, expand, reach new heights and contribute your gifts to the world in a way that's energy-rich and sustainable for you. Because the event is small and we want to make sure only the right people are in the room, we require each and every registrant to have a conversation with one of our coaches, before enrollment. Starting your journey with us will cut your learning curve dramatically and help you make a bigger impact (and likely more money) faster. That said, this is not really a "beginner" event; most of the people participating have at least 3 years under their belt. That doesn't mean you can't come if you don't meet that criteria, we just want to be extra sure we can meet your needs. That's why EVERY participant goes through an interview process before registering. Every single candidate goes through this process to ensure that this is a good fit, and that we can deliver on our promise to you and the outcomes you sign up for. If you're not sure, just book a call with us and we'll help you determine if this is a good next move for you, no pressure, ever. Our commitment is to your ultimate success, that's why we have this process in place, and that's why we also offer a guarantee. Why should I consider attending a live event? Sharing space and making a bold commitment to show up for this intimate 3-day immersion is a fast track toward building the business of your dreams. I’m already doing well, will I still get value? In a word, yes. Regardless of your stage of development, there is always room to refine your messaging, optimize your model, add revenue streams, and bring your message to new audiences – and do it all with more grace, ease, and joy. 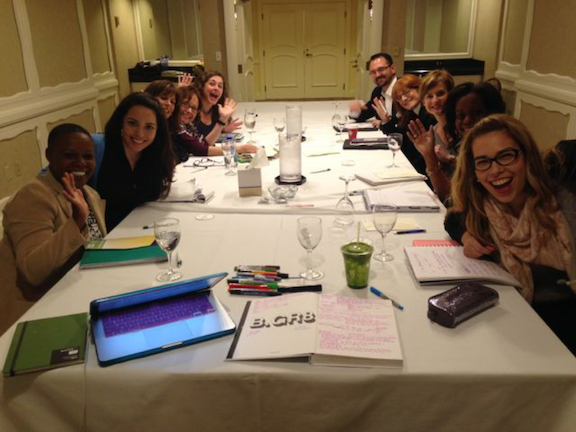 3 days in a room with really smart, creative people -- like Michelle, her team, and the other attendees, can only help. We guarantee it. The Superstar Business Breakthrough Retreat is an intimate, hands-on, roll-up-your-sleeves-and-get-to-work weekend & program designed to help speaking, coaching and mentoring entrepreneurs create more freedom, more prosperity and more meaning from their work. Clarify Your Model. Align Your Lifestyle. Monetize Your Magic. What if WORK felt like PLAY... Every single day? "In the first week after my retreat, I used the Magic Sales Strategy... and closed my first deal ever, a $7,500 monthly retainer for a year. Within 3 months, I'd landed 4 more clients." 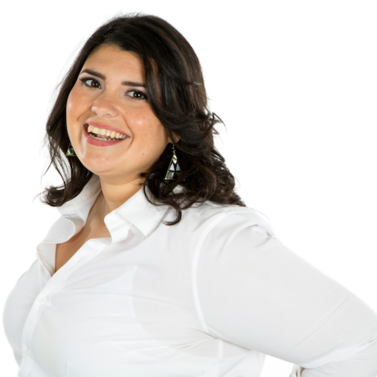 Sol Picón, Picón & Co.
"3 years ago at this event I nailed my niche and within 4 months I doubled my income and had my first 5-figure month.... I'm still going strong – last month was my best month ever, and now I am on the retreat team supporting others on their breakthrough journey – and I love it!" "The 3-day retreat gave me a roadmap to brand myself, write my book, produce my events, land speaking engagements and monetize them." 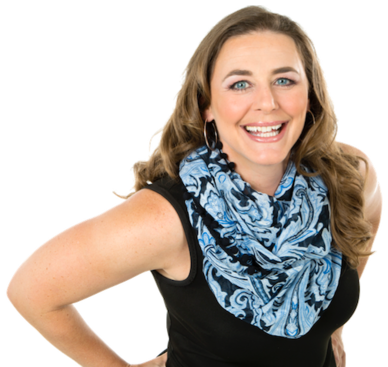 "Since starting my journey as a solopreneur, the hardest part has been getting out of my own way and allowing for the wisdom and experience of others to guide me, keep me aligned with my higher purpose, Michelle, Jen, and the [Crew] provided a safe environment for me to unlock some deep blocks that were holding me back to being clear, aligned and energized in my life and in my business. This weekend was magical. Even in the stressful times I’ve encountered since the weekend, I am able to 'awaken' in the moment and remember who I am and what I'm here to do. Ahh! Thank you!!" "I regularly attend workshops and retreats, and this one took me to a whole new level. From a personal development perspective, this was the best weekend of my life. An amazing experience of energy, alignment…and growth." Find out what makes you tick, so you can find greater flow in your work. Learn why some activities fill you up... and others leave you drained. Uncover subconscious patterns – and bring them to the surface so you can shift. Find your best, most limitless source of fuel for consistent, inspired action. Better understand the human process of transformation, so you can shift when you're struggling. The Solution is to build what we like to call a "Superstar Business." A Superstar Business is a new take on the "expert" model, one that focuses on IMPACT as the key outcome, and turns your expertise, influence and knowledge into a lifestyle-friendly, scalable enterprise featuring predictable monthly recurring revenue. Identity – the business is predicated on your gifts, your strengths, your passions and your "magic." Lifestyle – it meets your needs AND your desires, so you enjoy life, can take care of yourself and feel energy-rich. Business Model – it generates consistent, stable monthly recurring revenues in a leveraged, enjoyable way. Brand – your brand authentically represents you, and is attractive and compelling to the audience you're called to serve. Marketing – the activities you do to promote yourself feel natural and fun, not forced or pushy. Sales – instead of feeling "pushy" or "salesy," sales come with grace, ease & flow. Optimization & Scale – you grow and expand by leveraging your time, your team and technology, without working harder or longer. With this approach, your business can be enjoyable, energy rich, prosperous, and IMPACTFUL. From a young age, many of us – especially, but not only, women – spend our lives trying to please others. It starts when we're little, pleasing our parents, later in school we try to fit in among our peers, and soon we're trying to keep up with others with increasingly high-stress and fast-paced careers. We learn from parents, teachers, pop culture, and conventional wisdom that spending 40 (or 50 or even 80!) hours a week to bring home a paycheck is normal, and that work is HARD, it's a STRUGGLE, but someday, maybe, if you sacrifice enough, you'll get "there." And so we get caught in the hamster wheel, constantly working working working but getting nowhere – and not having much fun in the process. In the meantime, we distract ourselves with "to dos," and wear our "busy-ness" like a badge of honor. And if you step out into self-employment, being your own boss is often harder than any job ever was. If you're an expert, a consultant, a coach or a professional services provider then you know that we constantly have to be in "hustle" mode to sell (and then "hustle-some-more" mode to deliver). We sell our time for money, which means the only way to make more money is to SELL MORE TIME. Thus perpetuating a never-ending cycle of more hustle. But what if you want to do work that matters? What if ‍‍you want to make a difference? What if you want financial stability and prosperity (and the freedom to enjoy and share it)? Every business needs a front-end that attracts clients, nurtures them, and builds credibility. Your compelling brand is your identity in the world; it's who you serve, what you stand for, and how you look and "feel" when your ideal clients experience you. Your marketing is the ongoing messaging that you send out regularly; the most effective marketing is authentic, aligned with your strengths and values, positions you as a unique solution, and attracts a steady stream of ideal clients and opportunities. Your business model is how you "monetize your magic." It's the services you offer, how you get paid, and how you deliver those services, operationally. Our favorite models for Superstars are leveraged ones (e.g., group or virtual retreats, events and education programs) that lead into a "Big Back End," AKA: monthly recurring revenues like masterminds, memberships, and coaching). It's also essential to have a simple sales process so you can consistently generate revenues each month. To lead your business effectively, you must first lead yourself effectively. That means letting go of old stories and strategies that aren't serving you, and stepping into a new way of being that's purposeful, passionate and positive. If you've ever found yourself procrastinating, resisting, avoiding or sabotaging, that's your subconscious mind at play. To fully step into a higher level of leadership, it's essential to get your subconscious mind on board and harness its power to support your progress. You can do all the "right" things in your business – all the strategies and tactics, perfect implementation and execution, but without a greater purpose, it's all meaningless. A Superstar Business STARTS with purpose. Clarify Your Vision, Align Your Business & Map Out Your Your Business Plan. I'm also the Creator of The Superstar Business Breakthrough Retreat. I've been in business 11 years, and for the first 7 (yes 7!) I struggled, BIG TIME. I was a marketing consultant, and on top of being providing not-very-meaningful services that I mostly disliked, my revenues were up and down like a roller coaster (some months with a big fat ZERO in my top line). To make matters worse, between hustling to land clients and hustling to deliver (mostly in person) to clients, I was exhausted and felt trapped. Get next level clarity on your brand positioning, marketing and messaging to attract your ideal clients, so you can hustle less & serve more. Discover how to design, fill & deliver your own profitable small events and retreats. 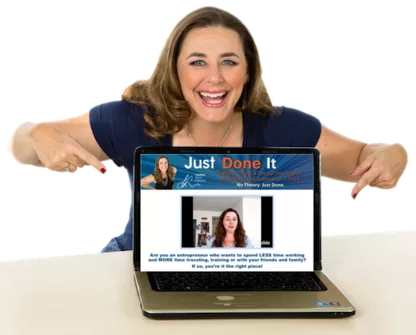 Learn an easy and graceful process to enroll ideal clients into your programs – without being "sales-y" or "pushy"
Define your programs, packages & pricing, including a Signature Offer, "Ugly Offer," Free Offer & "Big Back End." Establish your 3 primary marketing activities to consistently drive high-quality leads and referrals, and fill your pipeline. Nail down your 1-year Strategic Roadmap and 90-Day Plan! Refine your business model and back-end recurring revenue streams so you have more stability, security and scalability. Put down your cross & pick up your torch... 'Cause it's TIME to SHINE. Is This Right For You... Right Now? Is This Right For You? Book A Discovery Call With Michelle To Find Out. A Transformational Experience Designed To Help You Create MORE. What if you aligned your truest self, your deepest desires, your talents and your passions... with your work? What do you mean by "Guaranteed?" What we mean is that if you don't get the outcomes you came for, and that we promised you, you can either 1) take the retreat again, or 2) get a full refund. Your choice.